Pierre is the founder and Managing Partner of Savigny Partners LLP. He brings a unique combination of corporate finance experience, acquired over a career in investment banking, with unparalleled brand expertise from his prior corporate development role at the world’s leading luxury goods group, LVMH Moët Hennessy – Louis Vuitton. Founded in 2005, Savigny Partners employs four professionals who bring to bear extensive industry knowledge and transaction experience. Assignments have spanned the fashion and retail, leather goods and watch & jewellery sectors, where Savigny Partners has worked with some of the world’s most iconic brands such as Lanvin, Céline, Christian Lacroix, Byredo, Delvaux and Tom Dixon. Pierre served for a number of years on the Boards of Lanvin, Acne Studios and Tom Dixon. 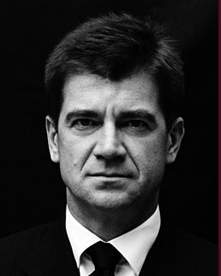 Prior to founding Savigny Partners, Pierre worked as Director of Acquisitions for LVMH, where he was responsible for originating and implementing acquisitions and divestitures across all group divisions. Working directly with Chairman and CEO Bernard Arnault, he led or played a significant part in most of LVMH’s mergers and acquisitions activity over the 1998-2004 period. Pierre began his career in investment banking in 1987, when he joined Bankers Trust. During his ten-year career at Bankers Trust and further two years at NatWest Markets, he was promoted to Head of French M&A and pioneered several ground-breaking sector privatisations in Eastern Europe. After graduating from the leading French business school ESSEC, Pierre served for two and a half years at the French Industrial Development Agency in New York, a body of the French Government dedicated to the promotion of foreign investment in France.